Not long ago I tried out the 21 Day Sugar Detox program by Diane Sanfilippo. 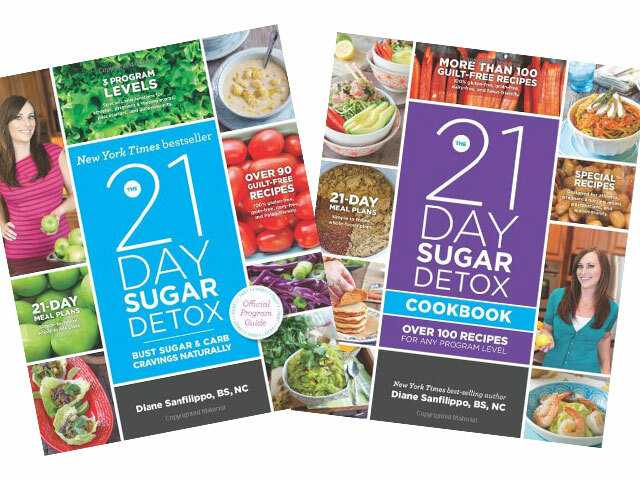 I didn’t purchase the online program, but I do have both books – 21 Day Sugar Detox: Bust Carb & Sugar Cravings Naturally and 21 Day Sugar Detox Cookbook: Over 100 Recipes for Any Program Level. I think this program could be good for those following SCD, especially those you are having trouble adjusting to the new diet. The 21 Day Detox is based on the Paleo diet, and it is really easy to keep it SCD friendly. Not every recipe in the two books is SCD, but most are. The program is very effective in breaking those sugar and carb cravings, which is why I think it could be useful for those struggling with sticking with SCD – though it’s not for those in the intro stages of the Specific Carbohydrate Diet or for those dealing with intense symptoms (in which case you really want to stick to the Breaking the Vicious Cycle book or visit SCDLifestyle.com and check out their program). But if you are on the road to health and are just having trouble sticking to the diet, the 21 Day Sugar Detox is worth checking out. Sometime in the future I may write in more detail about my experiences following the plan – I may decide to embark on it again, but for now I’ll just talk about my favorite recipe from 21 Day Sugar Detox: Bust Carb & Sugar Cravings Naturally: Pumpkin Pancakes. The recipe is simple and basic, which is probably one of the reasons why I like it. But the main reason I like is that I love the pancakes. I usually get a dozen little pancakes out the batch and that lasts me several breakfasts. 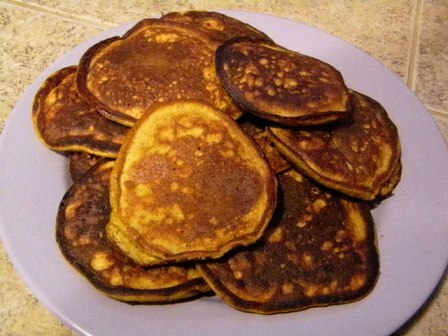 The texture is very pancake like – light and slightly fluffy. I also like that these pancakes are not made with almond flour. I get tired of that almond flour taste sometimes, so these are a good alternative. They are mostly pumpkin, egg, and coconut flour with some seasonings. I like making them ahead on the weekends and then toasting them for a quick breakfast on the weekday mornings. Breakfasts on SCD can get a little boring, so these are a good way to spice things up.